I’ve written about this subject before, here, here, and here. Whenever one learns a new word, one will see it within 24 hours. This used to happen to me once a month. Now it seems to happen every 2-3 days. It is getting ridiculous. On Saturday night, I spent time speaking to a friend. 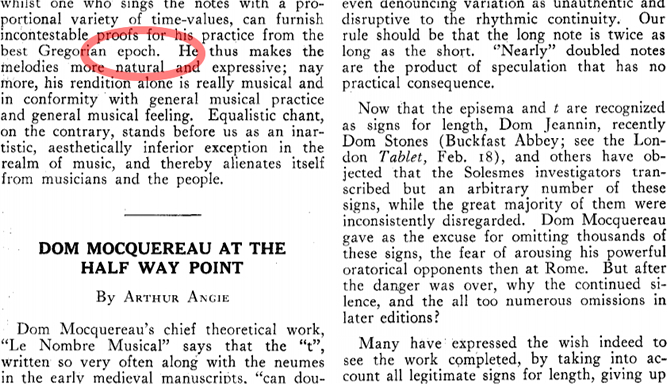 For quite some time, we discussed two words: “epoch” (which he missed in a 4th grade spelling bee) and “homogeneous,” which several of my graduate professors used to misuse on a regular basis. 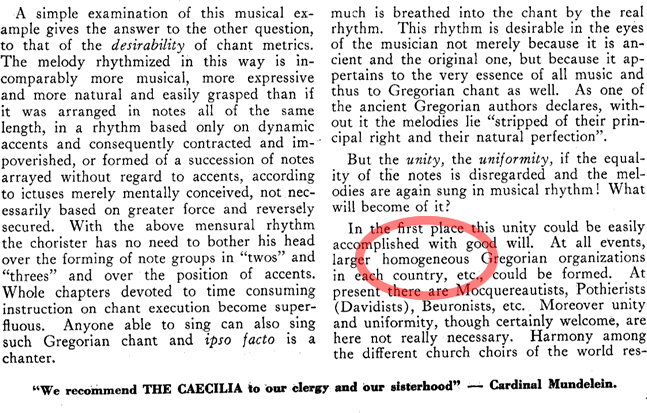 Within 24 hours, what do I see while reading a 1933 edition of Caecilia? Within a space of two pages (page 301 and page 303), I read the following.